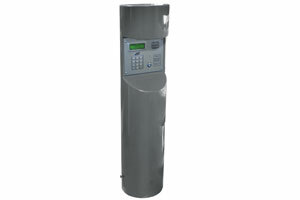 Anti-vandal features are included in a keypad with 3-way sensory feedback and a high resolution 2-line display that is easy to read in all lighting conditions. 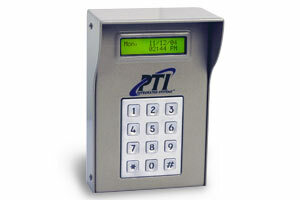 With built-in surge protection and flexible mounting options, the robust construction and finish of this keypad provides years of reliable use in even the harshest of environments. 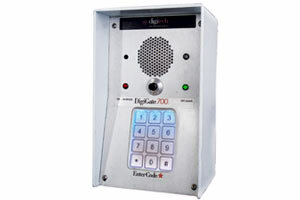 DigiGate-700 keypads feature a stainless steel faceplate and heavy gauge aluminum housing to resist abuse and vandalism. The keypads are engineered to accept over 50 million actions and designed to withstand the most extreme weather conditions. 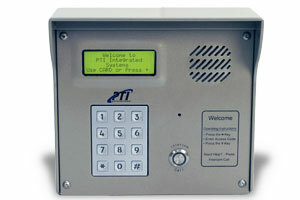 Easy to install and configure, the keypads have simple connections and can be quickly added into the standard DigiGate-700 software. Choose a single or dual keypad bollard stand. 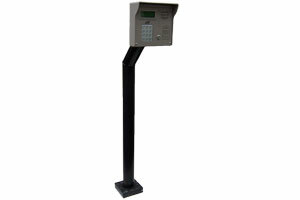 The dual keypad bollard is tall enough to accommodate drivers in larger vehicles, such as RVs. Bollards are powder-coated so they can be painted to match the appearance of the facility.